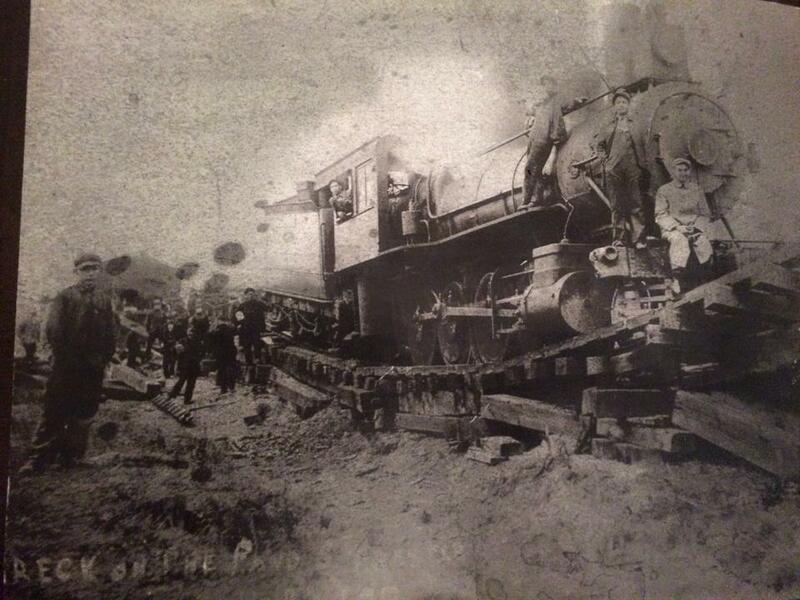 Throwback Thursday : 1912 Alley Popper Railroad Trestle Collapse In Woodward Twp. The Altoona and Philipsburg Branch of the Pittsburgh and Susquehanna Railroad came into service in 1894, as a local business enterprise, to haul coal and passengers throughout the Moshannon Valley. The line ran from Philipsburg to Osceola Mills and Houtzdale and then on to Ramey. The line ended in Fernwood in Gulich Township. From its beginning, the Alley Popper Railroad competed locally with the large and powerful Pennsylvania Railroad. In the village communities of West Moshannon and Kendrick in Woodward Township, the Alley Popper’s engineers designed and had built a 2,130 feet wooden trestle in order to skirt over top of the existing Pennsylvania Railroad line. The trestle kept the rail line relatively level and made it possible to avoid a right-of-way conflict with the Pennsylvania Railroad. But how long could such a wooden structure continue to withstand the many tons of train engines and full coal cars that traveled on it day after day and year after year? 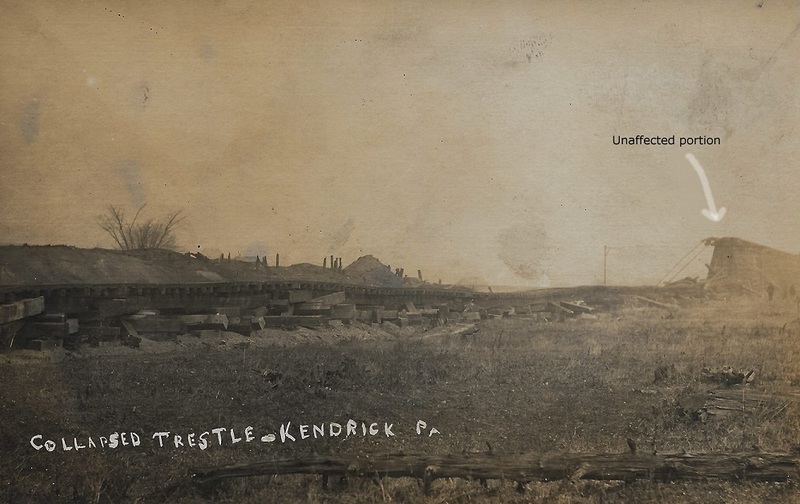 On Nov. 22, 1912, the trestle collapsed. Its support beams went down in an orderly fashion, “like dominos,” as was written in reports of the time. The true miracle was that the train engine and cars stayed put on the rails without tipping over. The photos show just that. One wonders how, considering the limited heavy equipment of the day, the train was removed and the trestle rebuilt.